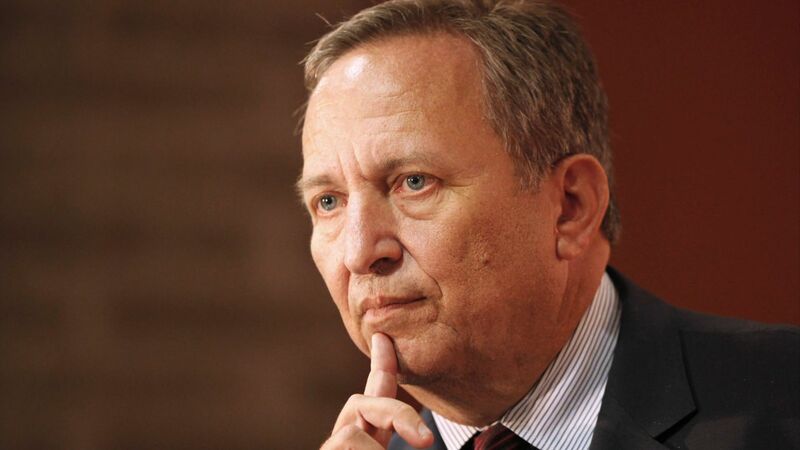 (MoneyWatch) You can be sure that Lawrence H. Summers is disappointed not to become the next chairman of the U.S. Federal Reserve. The post would have represented the pinnacle of a career divided between private firms and public service. Many people felt Summers had towering expertise for the job: a prize-winning economist, he had served as deputy secretary and then secretary of the treasury, then President Obama's director of the National Economic Council. He had been the president of Harvard University. With a track record like that, what went wrong? What lessons can be learned from the failure of a man whose technical expertise had earned him a succession of high profile appointments? In 1991, as chief economist of the World Bank, Summers signed off on a memo that argued poor countries might be benefit from taking the pollution of rich countries. Made public, the memo caused an uproar and Summers insisted that the memo had been sarcastic. His inability to see that sarcasm played badly on the world stage was an early indicator that Summers had poor awareness of his audience and the context in which his work was carried out. Summers' hoped-for nomination to the Fed was dogged by memories of past poor judgment. When California's state officials complained that their energy market was being manipulated in 2000, Summers and Greenspan told them they were wrong. But Enron traders were taped joking about the tricks they used to manipulate prices. In retrospect, Summers's verdict appears either ignorant (an economist who couldn't understand business) or compromised by corporate cronyism. As treasury secretary, Summers vigorously supported the dismantling of Glass-Steagall, the Depression-era law separating commercial from investment banking, and successfully fought off regulations of the derivatives market. Those complicated, leveraged financial devices played a fundamental role in the meltdown of the economy after the real estate bubble burst. In retrospect, this prompted the same question: did Summers not know how markets really worked -- or was he a slave to Wall Street? Even though both events took place over a decade ago, many people remember them. We may imagine that we can reinvent ourselves but the chastening truth is that what we do at work is remembered somewhere by someone. And it can be surprising what comes back to haunt you. Summers might, as President Clinton has done, acknowledge that some of the deregulation of financial services proved ill judged. Every piece of legislation is, to some degree, an experiment -- no one can know exactly how it will play out -- and failure to be omniscient isn't a crime. But Summers's inability to reflect and acknowledge new data suggests he'd rather defend himself than continue the search for better answers. When ego beats learning, careers slow down. Full scale mea culpas may not be necessary but it's important to show you can learn from your mistakes. Nothing hurt Summers's reputation more than the perception that he was deaf to other people. As president of Harvard, his unscripted comments about the intellectual capabilities of women, his struggles with prominent African-American professors, together with a growing reputation for brusqueness, cost him his job in 2006. What he said was not nearly as damaging as his lack of awareness of his audience, his context and the sound of his words in the wider world. As chairman of the Fed, that sensitivity would have been fundamental to his ability to communicate safely and effectively with the markets and with legislators. That he could not be relied upon to do so has demonstrated once again how critical communication skills are. They aren't an optional extra, a soft skill dwarfed by technical expertise. They're the fundamental skills which undermine everything else. However senior, respected and celebrated you become, you always need other people. Summers had a stunning track record but he still needed the political support of President Obama and the Democrats in the Senate Banking Committee. Likewise, CEOs need support from their boards, shareholders and executive teams. Since all of those supporters have their own agenda, it's a safe bet that technical expertise alone will never win the day. Most of the CEOs and senior executives I work with have reached top positions because they are masters of their discipline. But many struggle to understand that their expertise is a necessary but far from sufficient ingredient in success. They grow impatient when others can't follow their train of thought or won't submit to the excellence of their arguments. But their long term success depends on their ability finally to appreciate that no one truly works alone. Leadership is a collaborative, not a solo, activity.